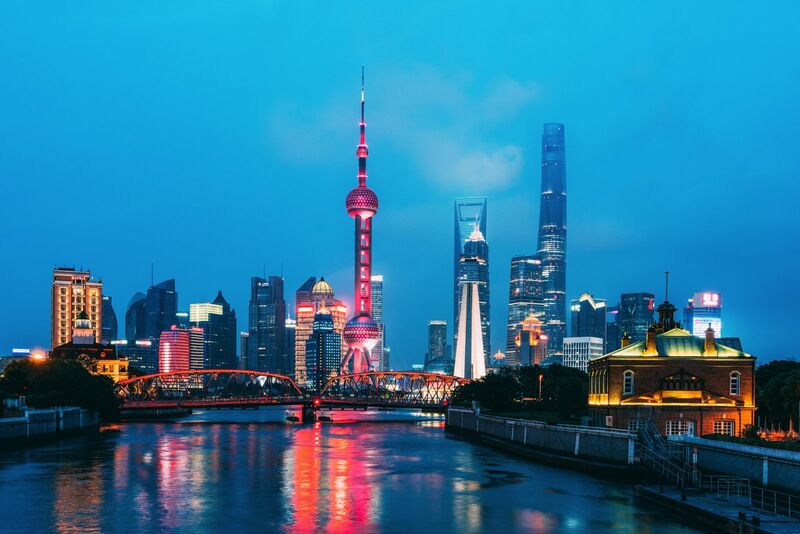 Now, although Shanghai isn’t the capital of China (that honour goes to Beijing) it’s actually the biggest in all of China – this coupled with its reputation as being a financial hub and a global city, make Shanghai the perfect place to begin (or indeed, end) your trip to China. 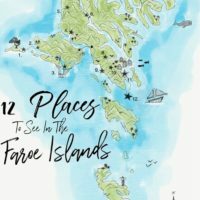 The city has pretty much everything you’d want from any city – amazing nightlife, absolutely fantastic restaurants (always a big plus for us), stunning architecture (it’s a great blend of old and new) and a pretty amazing transport system so getting around is pretty straight-forward here! 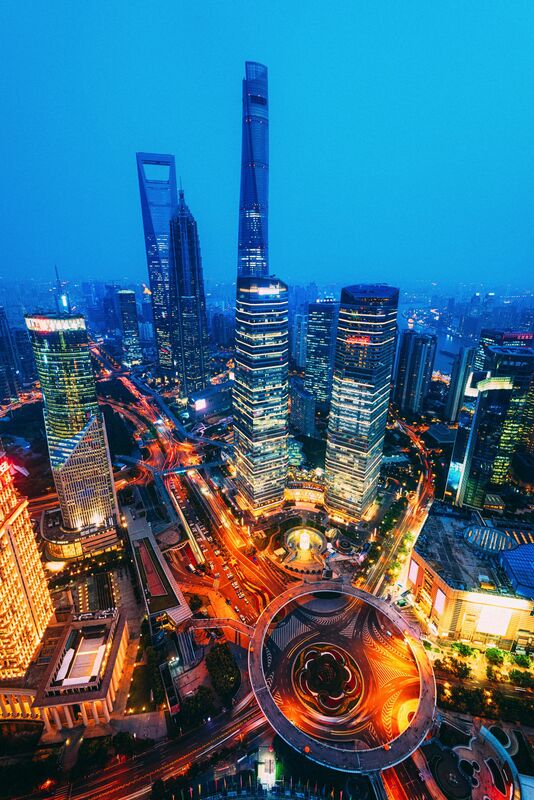 Convinced about visiting Shanghai yet? 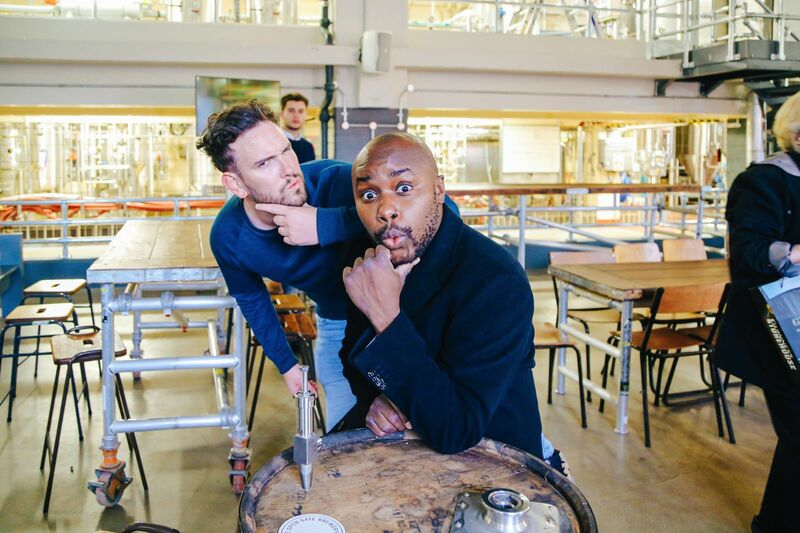 😉 If you are, then the next (natural) question is – what should you get up to when you’re in the city? Well, we’ve got you covered on that front! 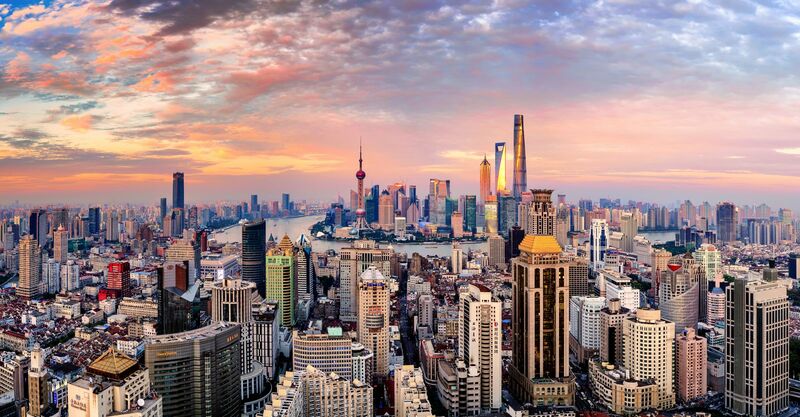 Here are 15 places you have to visit when you’re in Shanghai! 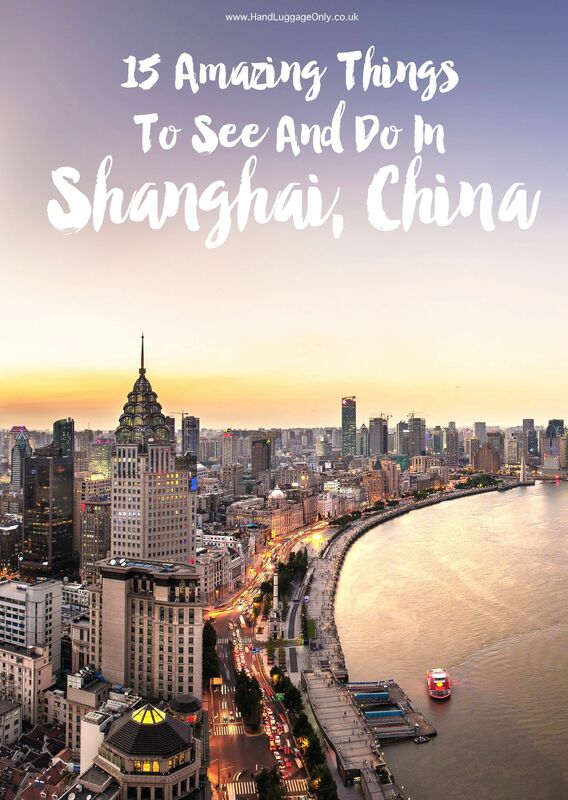 *Sidebar – if you need more convincing to want to visit Shanghai, check out our post here on reasons why you need to visit Shanghai! Covering an area of 20,000 square km, the Garden of Happiness acts as an oasis of calm from the sometimes chaotic streets of Shanghai (I’m a fan of busy, manic cities but even I can appreciate a bit of escapism from the hustle and bustle)… and, as though that wasn’t enough of a lure, there are some parts of this garden that have been here since the 16th century! Throughout this beautifully landscaped garden, you can find many traditional Chinese Pagodas, ponds blanketed with Lily pads, quaint bridges and a huge variety of trees, plants, and wildlife. Particular features worth making the time to check out include the Kuailou Pavilion, the Wanhua Chamber, and the Jade Rock. 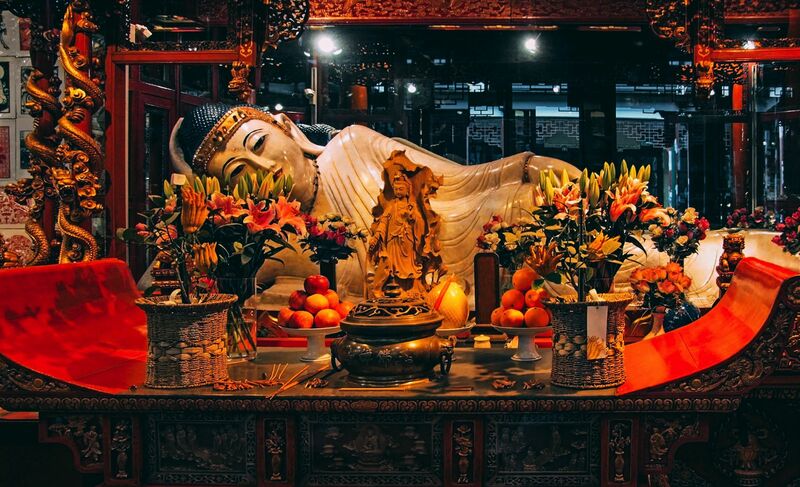 Located in the Anyuan Lu district, the Jade Buddha Temple is one of the most beautiful temples in the city and is notable for its fantastic design and stunning golden statues and sculptures. The exterior features traditional designs and a stunning amount of intricate detail. The main attraction however is inside the temple and it is a large statue of a lying Buddha decorated with ornate jewels and fruits. This significant temple is one of the most sacred in Shanghai and is definitely one spot you HAVE to visit when you’re in the city. Also known as Zhongshan Lu, the Bund is a large promenade that is a popular location for both tourists and locals. This area has a distinctly European feel and has a plethora of English and French structures (which, when you find out more about the history of Shanghai starts to make sense) together with the impressive skyscrapers and hotels. Essentially, if you’re looking for that ‘iconic’ photo of Shanghai, this is where you should be headed. Aside from the waterfront views, The Bund also has a collection of shops, restaurants, bars and galleries for those looking to grab a bite to eat or to soak up that city view with a drink or two. 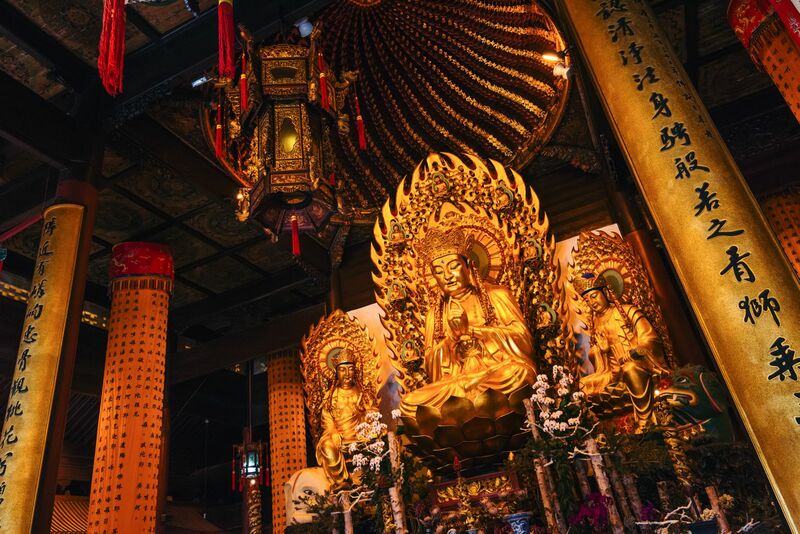 This temple complex is the most authentic and well-preserved example of a Song Dynasty monastery in Shanghai and is a hugely popular attraction. The traditional architecture and design of this fantastic set of structures is typical of the Song era and features many pointed roofs and pagodas. 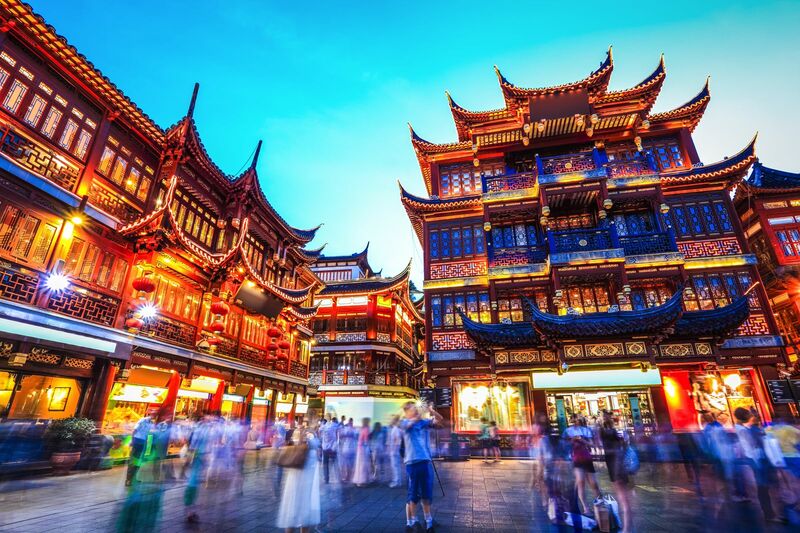 The central attraction, however, is the towering 6 tiered pagoda that rises above the surrounding structures with a great amount of beautiful detail and colourful architecture. 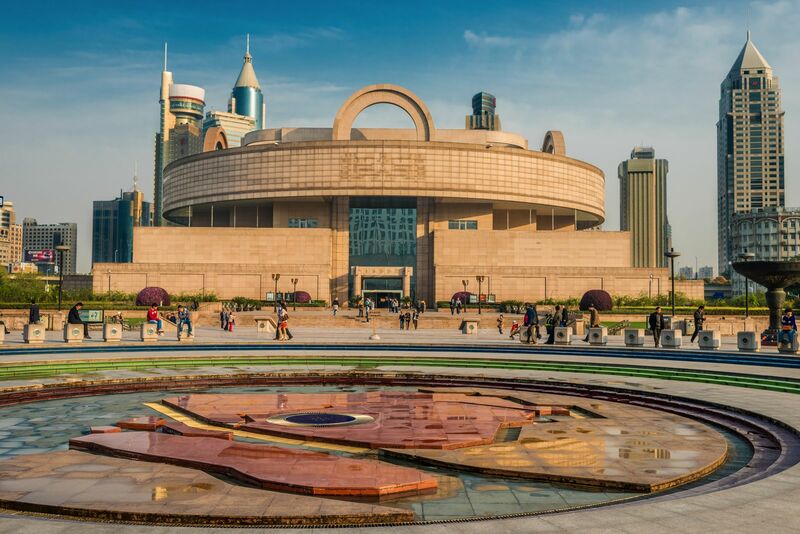 The Shanghai Museum stands as the most important source of ancient Chinese art in the country and is located in the immense People’s Square. This domineering stone structure provides an insightful look at Chinese art through the ages and some of its artefacts date back to the early Chinese dynasties. Separated into sections, you can see bronze creations, sculptures, ceramics, jades, calligraphy, together with prized furniture from the Ming and Qing dynasties. This iconic tower (that tall pink one in the photo above with two huge ‘balls’ in the middle of it) has a particularly unique design and is one of the most memorable icons in the city (essentially, if you see a photo and aren’t sure if it’s of Shanghai, the minute you spot this tower, you definitely know it’s a photo of Shanghai). As the main square of Shanghai, this open space is hugely important and is a great location to start your tour of the city (though that is by no means essential to planning your itinerary, of course). In the centre of the square is the beautiful People’s Park dotted with lot of large water fountains. Surrounding this are are places like the Grand Cinema, The Shanghai Museum, and the Municipal Government Headquarters – hence why I said this is probably a great spot to start your tour of the city! 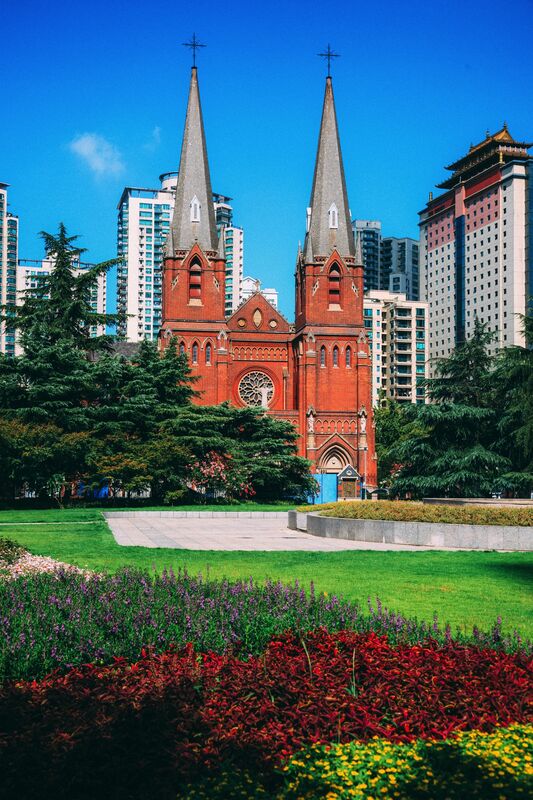 Set within the grounds of a small park, this cathedral would looks nothing like what you might expect to find in Shanghai an so provides a perfect contrast to the city’s traditional Chinese architecture. Oh, and it’s also quite beautiful to see in and of itself so there’s that too! Built in 1911, this Romanesque structure (and it’s impressively domineering spires) serves as the main place of worships for Shanghais catholic contingency and is absolutely worth popping into your city sightseeing itinerary. Dubbed as the “New Heaven and Earth”, Xintiandi is a very popular entertainment district bang smack in the heart of Shanghai. If you’re looking for a dinner, drinks and a good night out in the city – this is where you should be headed although, its got to be said, you can expect a more laid back vibe here rather than the upbeat Nanjing Road (see below for that one). This immense cable-stayed bridge spans the Huangpu River and is one of the longest bridges in the world with a total length of 8354m. 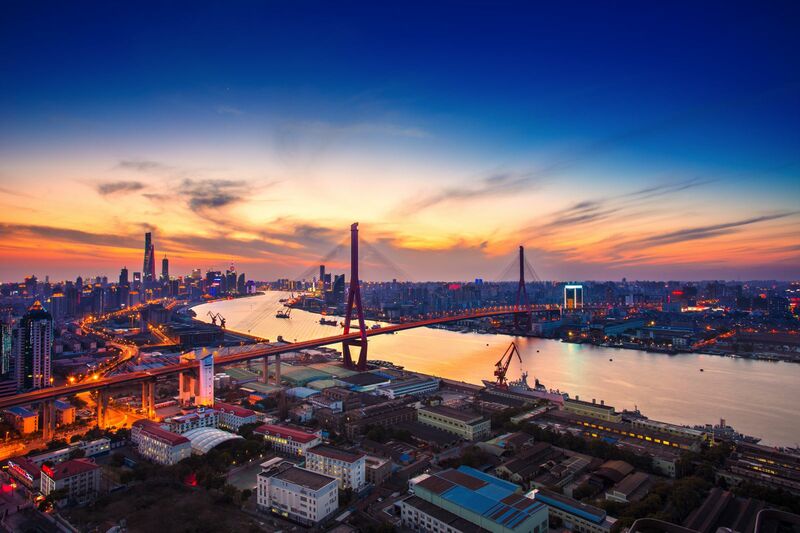 The Yangpu Bridge takes traffic from the Yangpu District to the Pudong region of Shanghai and has two sightseeing sidewalks for pedestrians to walk along. This marvel of engineering is a fantastic photo spot in the city and rather incredible to walk across. 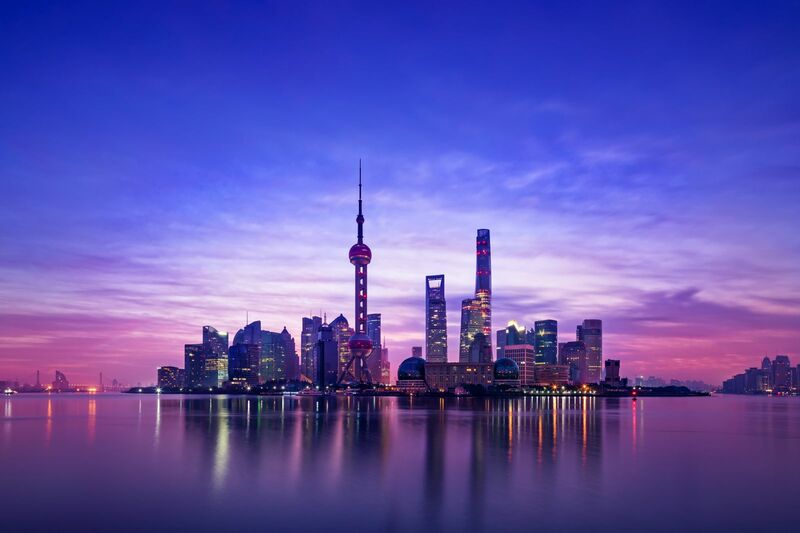 The skyline of Shanghai is littered with huge skyscrapers though one of note definitely has to be the Shanghai World Financial Centre – which is one of the tallest building in the world. 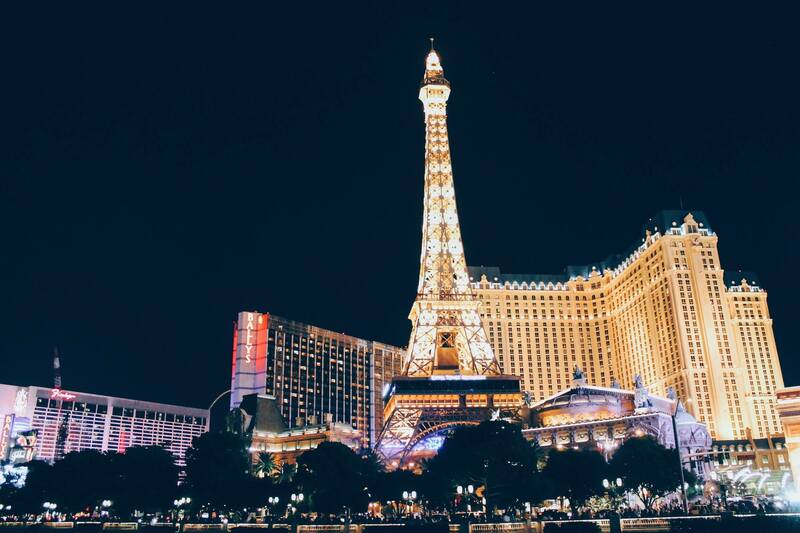 There are of course a whole lotta reasons to take in the view of this incredible structure but if you head up to the 100th floor, there is an observation deck that offers one of the best available views of the city. (Again, that whole “1 hour before sunset” rule applies here for incredible photos during golden hour and again once the city has transformed at night). Completing the trio of Shanghai’s immense skyscrapers, the Shanghai Tower is the tallest building in all of Shanghai and has one of the tallest (if not the tallest) observation deck in the world. Suffice to say, it’s something of a national landmark. With its twisting design, this skyscraper is well-renowned across the globe for its amazing architectural design. On the 121st floor sits that afore-mentioned highest observation deck in the world – a spot which provides 360-degree views of Shanghai. 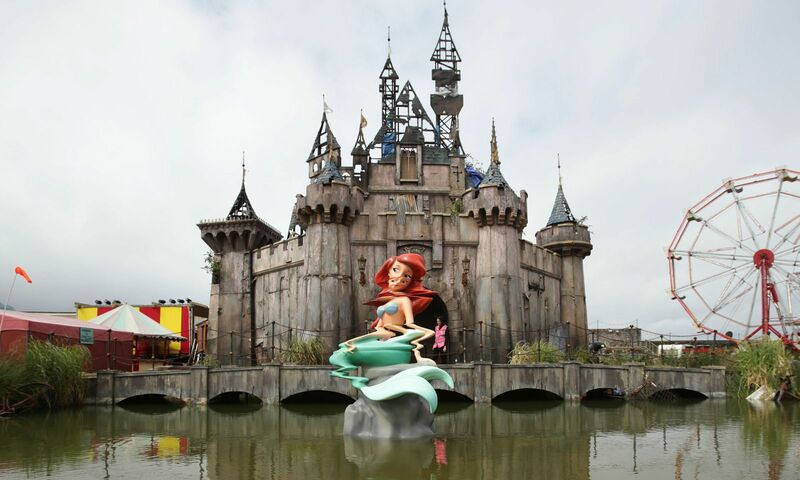 From here you can even see the iconic Oriental Pearl that looks tiny in comparison! Shanghai is bursting with modern technology and the Maglev train is a testament to this. 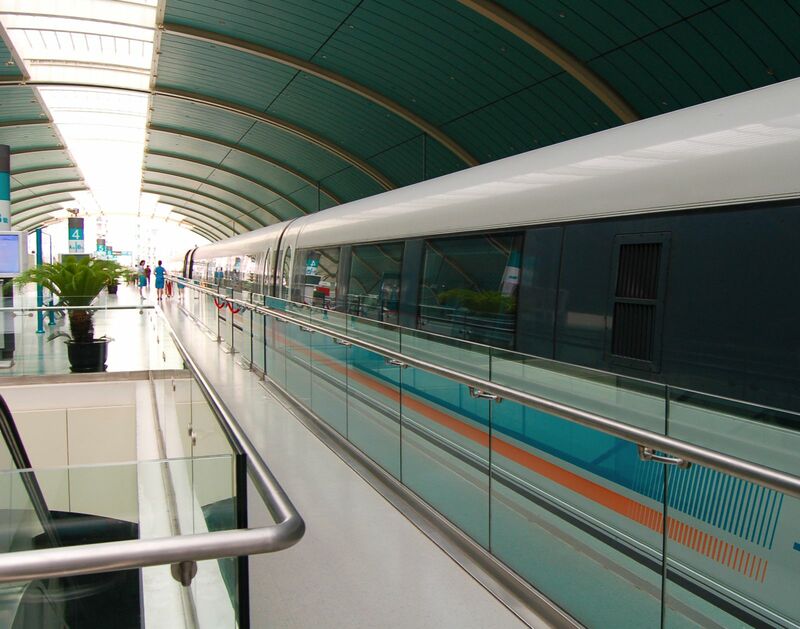 Traveling from Pudong Airport to the city centre, the magnetically levitated train (yes, you read that right!) glides along the track at an unbelievable 270mph and covers 19 miles in just 8 minutes. The design and style of the carriages are second to none, and, seeing as this is the fastest commercial high-speed electric train in the world – there is no better way to travel in this city (even if just for the experience alone)! 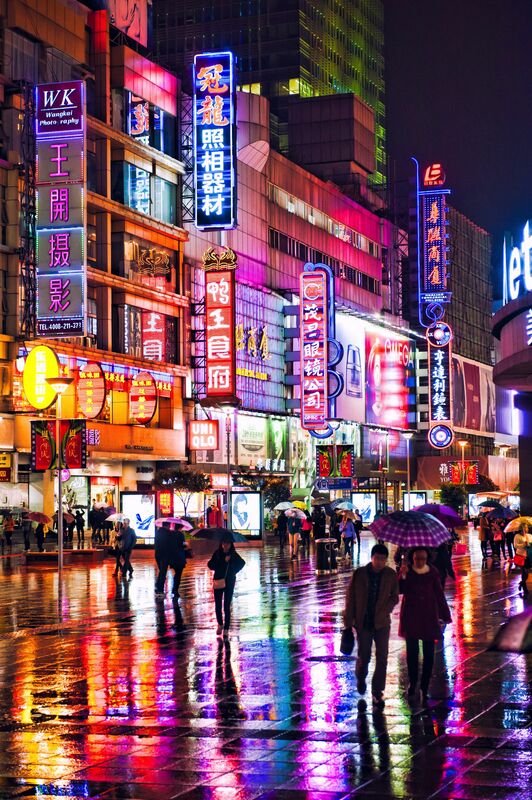 If there’s one place you need to head to for shopping in Shanghai (other than, perhaps The Bund), Nanjing Road definitely is the place. 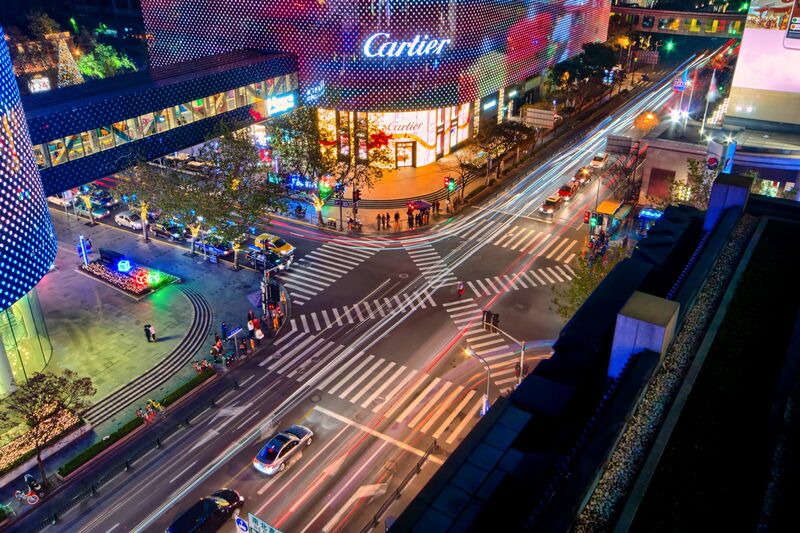 Stretching for several miles and starting at the Zhongshan Lu intersection, Nanjing is pedestrian friendly and features a mind-boggling amount of shops. You can find street vendors, souvenir stalls, boutique clothing shops, several large malls, and a whole range of cinemas and restaurants. Essentially, everything you could ever want to buy in the city can be found on these streets. 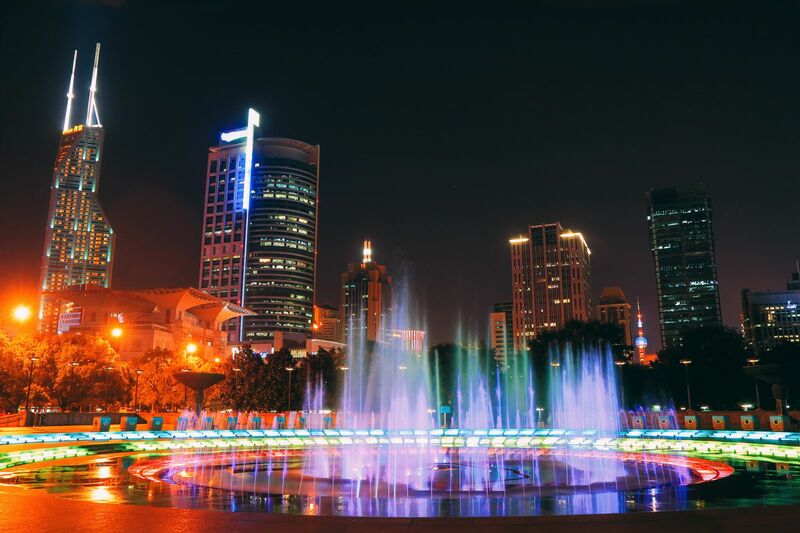 A particularly fun time to visit is at night, when Nanjing gets lit up and transforms into a bustling nightlife venue! 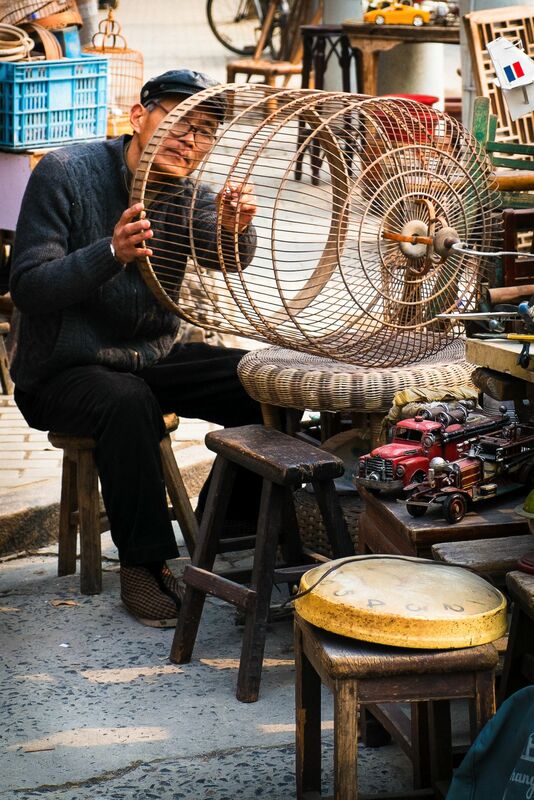 Whilst Nanjing caters for the retail market, Dongtai offers something a little more rustic and traditional. 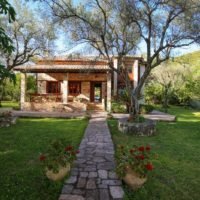 Throughout this stretch of road, you will find a jumble of shops and stalls selling practically anything you can imagine – from books and antiques to metal teapots and even insects! This street has it all and will provide a true slice of local life in Shanghai.